Macedon Ranges Shire Council is advocating for state and federal government support for a Regional Sports Precinct in New Gisborne. Last week the council met with Minister for Sport John Eren, Macedon MP Mary-Anne Thomas and representatives from the New Gisborne Regional Sports Field and the Macedon Ranges Regional Sports Hub Projects for a briefing on the project which would provide facilities for indoor and outdoor sport from basketball and netball to football and cricket. 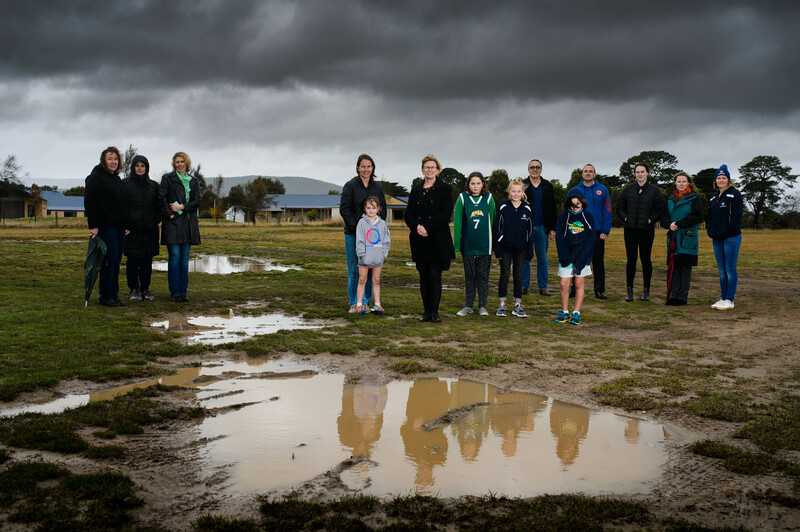 The council has set aside land at the northern edge of Gisborne, opposite the Macedon Ranges Netball Complex for the proposal. The demand for sports spaces with more than 20 AFL teams and 30 cricket teams hosted at Gardiner Reserve and a shortage of indoor courts for the more than 7272 basketball, netball, volleyball, badminton, futsal and squash players projected by council to 2036. Last week Ms Thomas said she would continue to work closely with all stakeholders to advocate for the sports facilities needed for the region. 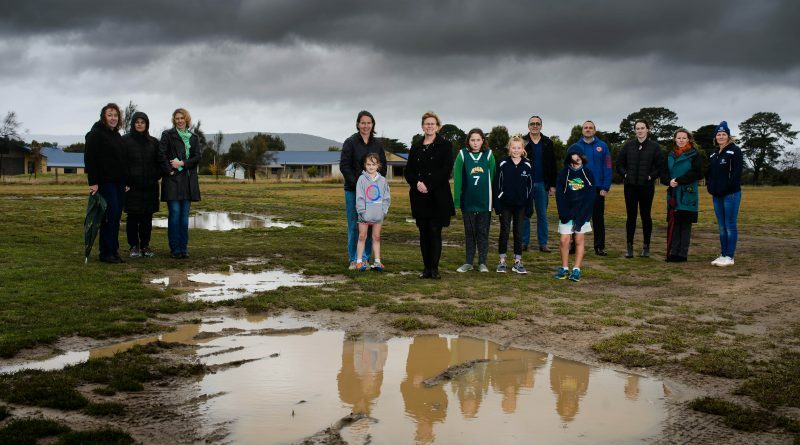 Greens candidate for Northern Victoria Nicole Rowan has also indicated her campaign for a commitment to build the proposed sports precinct would continue. 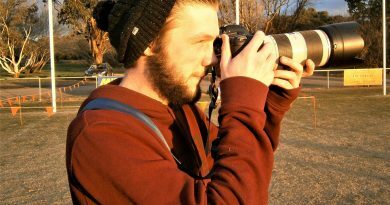 A photo of the photographer - Ties Urie. 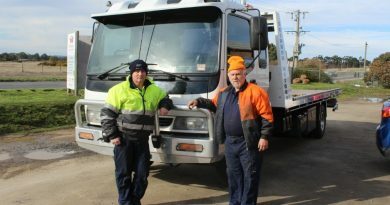 Towie Doug Holden and auto electrician Jim Matheson have both found themselves perilously close to fast-moving traffic in the limited shoulder space allowed by the new wire rope safety barriers on the Calder Freeway.